The 50’s are making a come-back in Sycamore during Turning Back Time Weekend scheduled for July 27th through July 29th. 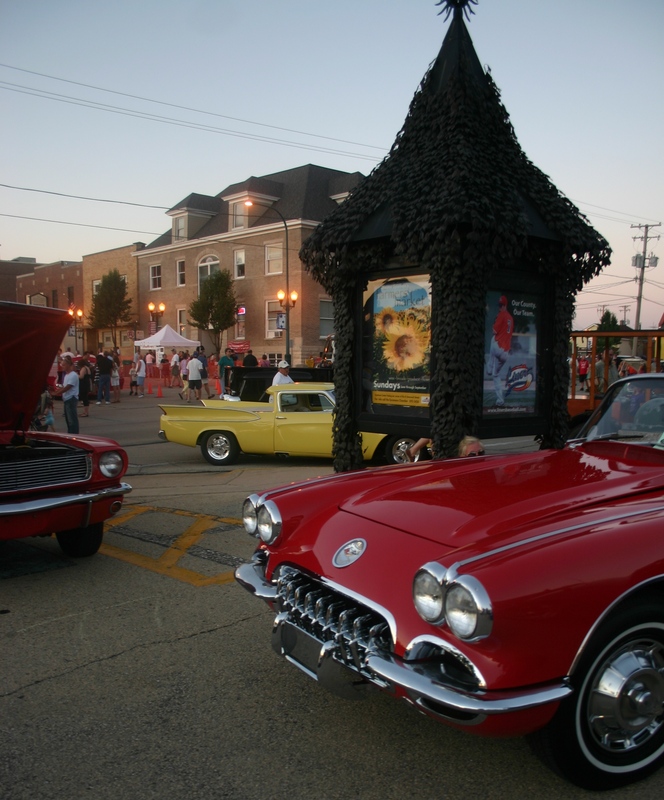 Hop into your vintage ride and cruise over to downtown Sycamore for classic cars, live entertainment and tons of fun. We’ll kick off the weekend with a free outdoor movie on Friday, July 27th at dusk. 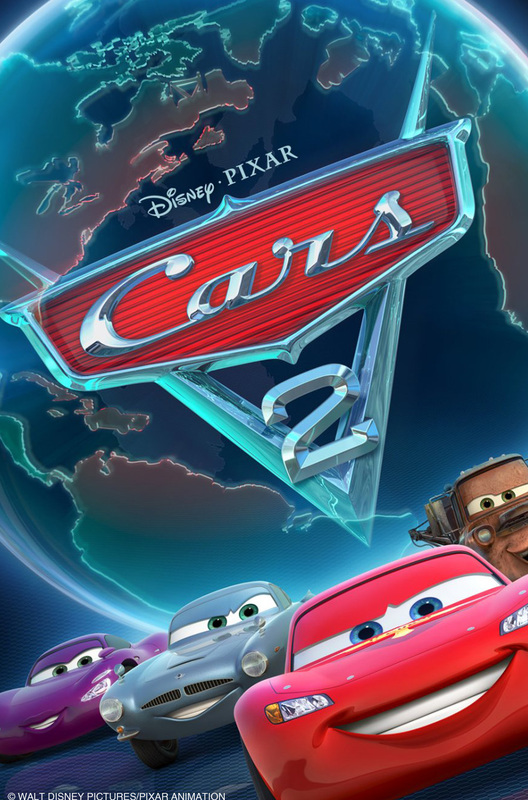 Bring the whole family to Downtown Sycamore and check out “Cars 2” on the big screen. Discover Sycamore’s Summer on State is brought to you by the Jeff Keicher of State Farm Insurance. Don’t forget to pack lawn chairs and blankets! Cruise Night presented by Auto Meter Products will take place Saturday, July 28th from 3-11pm. Bringing back the sounds of the 50’s and 60’s, Rick Lindy and the Wild Ones will take the stage from 7-10pm. Rick Lindy and the Wild Ones are known for recreating the glory days with hits from Johnny Cash, Elvis Presley and The Beatles. Discover Sycamore’s Cruise Night will also include a Classic Car Cruise Parade, beer garden, Disc Jockey, food vendors and more! Cruise Night is also sponsored by The National Bank and Trust Company, American Midwest Bank, Castle Bank, Kishwaukee Community Hospital and Taxco Restaurant Too. 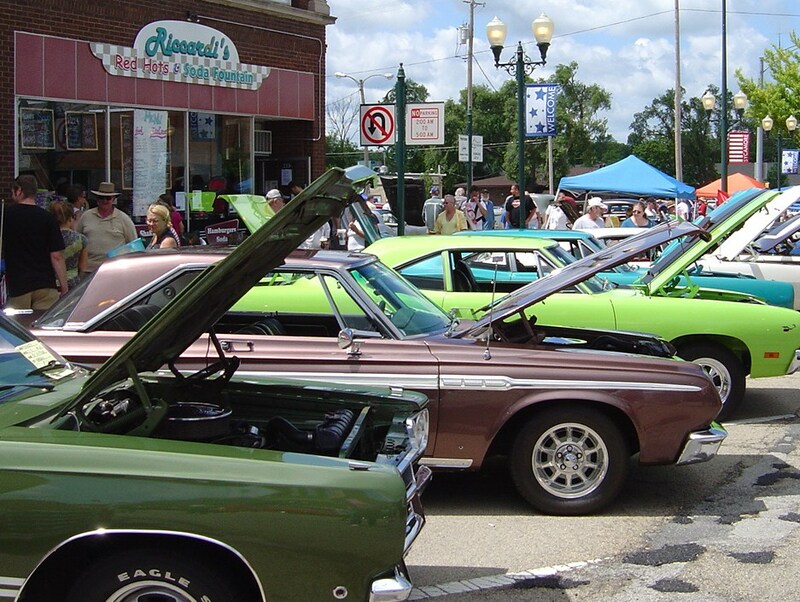 Sunday, July 29th brings the 13th Annual Fizz Ehrler Memorial Car Show to downtown Sycamore. Help the Turning Back Time Car Club reach their goal of 1,000 car show registrations. Registration will take place from 8am until noon with the award presentation at 3:30pm sharp. Attendees are encouraged to take advantage of Turning Back Time specials at downtown merchants and restaurants. Even if you are too young to remember the 1950’s, we encourage you to experience the nostalgic era associated with Turning Back Time Weekend, a summer event that comes around just once a year. For more information visit discoversycamore.com. Thank You For Making Our Cruise Night a Blast! Thank you to all of our sponsors for helping to make Cruise Night 2011 one to remember! We had an outstanding attendance from both car owners and visitors. Spectators got to look at and admire over 200 outstanding vehicles. A total of 10 trophies were distributed to the different car owners. Vintage Vinyl rocked the stage as the crowd danced the night away. The 50’s are making a come-back in Sycamore during Turning Back Time Weekend scheduled for July 29th through July 31st. Dust off your poodle skirts, saddle shoes and James Dean shades, and cruise over to Downtown Sycamore for classic cars, live entertainment and tons of fun. We’ll kick off the weekend with a free outdoor movie on Friday, July 29th at dusk. Bring the whole family to Downtown Sycamore and check out “Shrek Forever After” on the big screen. Discover Sycamore’s Summer on State is brought to you by the Sycamore Park District. Don’t forget to pack lawn chairs and blankets! Cruise Night presented by Auto Meter Products will take place Saturday, July 30 from 3-11pm. Bringing back the sounds of good ol’ rock and roll, Vintage Vinyl will return by popular demand. Vintage Vinyl is known for recreating the glory days with hits from The Beatles, Rolling Stones, and Van Morrison. Discover Sycamore’s Cruise Night will also include a Classic Car Cruise Parade, beer garden, Disc Jockey, 50’s costume contest and more! Cruise Night is also sponsored by Brian Bemis Automotive Group, American National Bank of DeKalb County, Castle Bank, The Daily Chronicle, KishHealth System, Taxco Restaurant Too and The National Bank and Trust Company. Sunday, July 31st brings the 12th Annual Fizz Ehrler Memorial Car Show to Downtown Sycamore. Help the Turning Back Time Car Club reach their goal of 1,000 car show registrations. Registration will take place from 8am until noon with the award presentation at 3:30pm sharp. Attendees are encouraged to take advantage of Turning Back Time specials at downtown merchants and restaurants. Even if you are too young to remember the 1950’s, we encourage you to experience the nostalgic era associated with Turning Back Time Weekend, a summer event that comes around just once a year. If you have any questions, please contact the Sycamore Chamber of Commerce at 815-895-3456. Have you hear the radio ads for Cruise Night? If you have, then you already know that Auto Meter Products is responsible for bringing you a free night of classic family fun this Saturday, July 24th. Auto Meter Products, located in Sycamore, is once again the presenting sponsor of Cruise Night. Cruise Night is part of Turning Back Time Weekend which includes a free outdoor movie on Friday, Cruise Night on Saturday and the 11th annual Fizz Ehrler Memorial Car Show on Sunday. We know many of you clicked through to this link from Facebook- so be sure to find Auto Meter on Facebook. Also, encourage your friends to become a fan of Auto Meter as well. They are supporting the Sycamore Community through Cruise Night. Let’s return the favor! 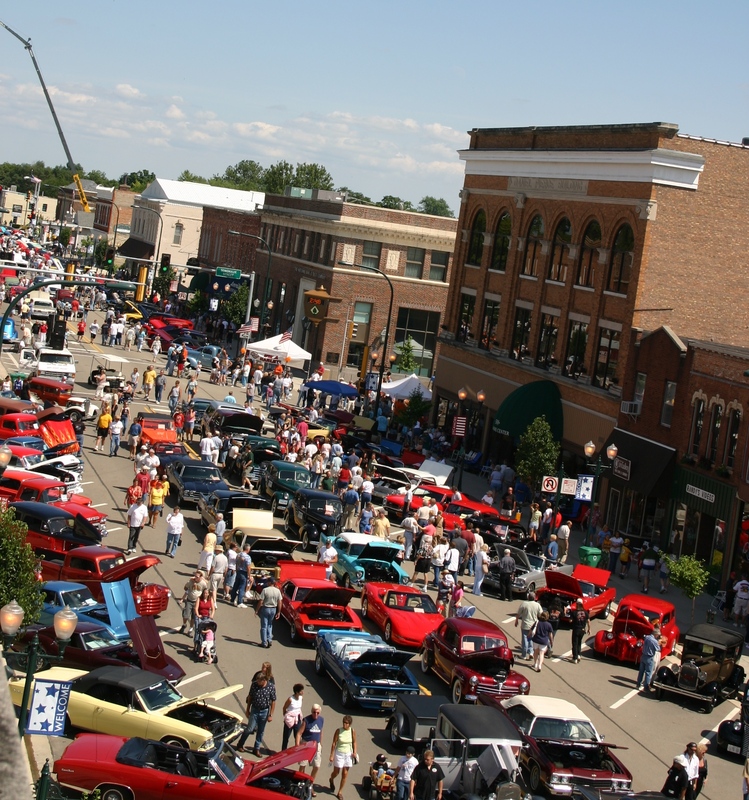 Come to Cruise Night this Saturday from 3-11pm in Downtown Sycamore and stop by the Auto Meter booth!